When and where is the debate? 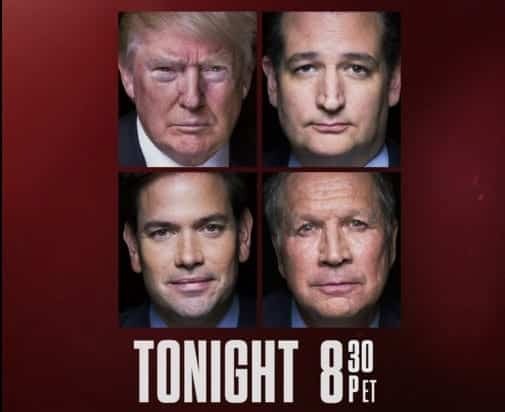 The Republican debate will be held at the University of Miami at 8:30 p.m. ET Thursday. Who will moderate the debate? CNN’s Jake Tapper will moderate and CNN’s Dana Bash, Salem talk radio host Hugh Hewitt and The Washington Times’ Stephen Dinan will join as questioners. This entry was posted on March 10th 2016 at 4:23pm/16:23 and is filed under Elections, Live News Column 2, Politics. You can follow any responses to this entry through the RSS 2.0 feed.